The Australian Rugby Union today announced two new initiatives around the National Rugby Championship at the launch of the season. With the first game to be played tomorrow between the defending premiers Brisbane City and last year’s grand finalists Perth Spirit, the NRC will also welcome in a Ranfurly Shield-like honour, as well as a chance for players to represent an Australian Barbarians team to play a New Zealand team later in the year. The NRC season will run over the next nine weeks, then move into finals. The great Wallabies and Reds centre pairing will have a Shield named after them for NRC clubs to contest. It will be up for grabs at every home match played by the current holders, meaning that it is only contested during the regular season. The team can also accept challenges for the shield for away fixtures, but there is no obligation to accept the challenge of a rival club. 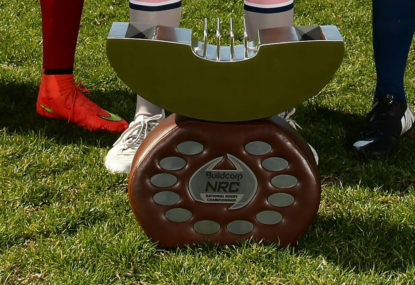 Having gone through the 2014 NRC season undefeated, Melbourne Rising are the current holders of the Horan-Little Shield. If the holders win two consecutive home games or challenges, the Shield is automatically up for grabs in every subsequent game, whether it’s home or away. The team holding the Shield at the end of the regular season will have their names engraved on it, and be the winners for that year. Melbourne Rising already have their name inscribed on the Shield, so congratulations to them for an outstanding 2014 season! This is sure to add a little spice to the regular season NRC games, all of which will either be broadcast on Foxtel or through Foxtel’s digital platform. An Australian Barbarians side will be chosen at the end of the NRC season to play a New Zealand Heartland XV in November in a two-match series in New Zealand. The team will be picked from those playing NRC who don’t have a Super Rugby contract, and give them an opportunity to show their wares against a similar team from New Zealand. New Zealand’s Heartland Championship is a level below that of the ITM Cup. No dates have been given for the match. The Australian Barbarians will be selected by a panel chaired by ARU Pathway Manager Adrian Thompson. Rob Clarke the ARU’s General Manager of Professional Rugby said the new ideas were aimed at creating a buzz around the NRC. “These new initiatives for season two of the Buildcorp NRC will generate significant interest and excitement around the competition.